Hydrate with style! This Spider-Man Web Slinger Plastic Water Bottle is just about the best thing for you to carry your water around in if you're a fan of Spider-Man and constantly on-the-go. 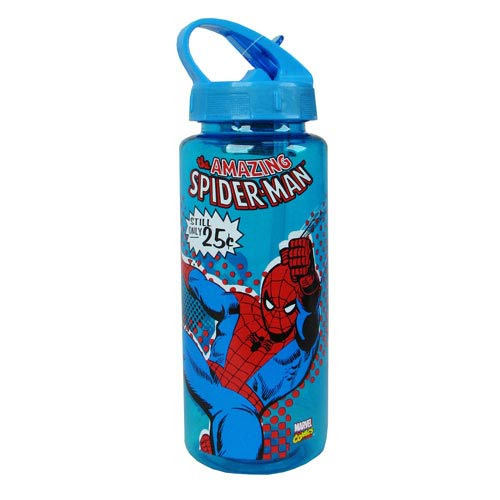 Able to hold up to 25 ounces of liquid and featuring a cool blue design with The Amazing Spider-Man logo and Spider-Man saying, "Still only 25 cents," along with the web-head swinging through the city, this great water bottle is perfect for use at the gym, school, or wherever you want!